I rediscovered my collection of handmade papers today and the pages with the leaf skeletons​ on caught my eye. 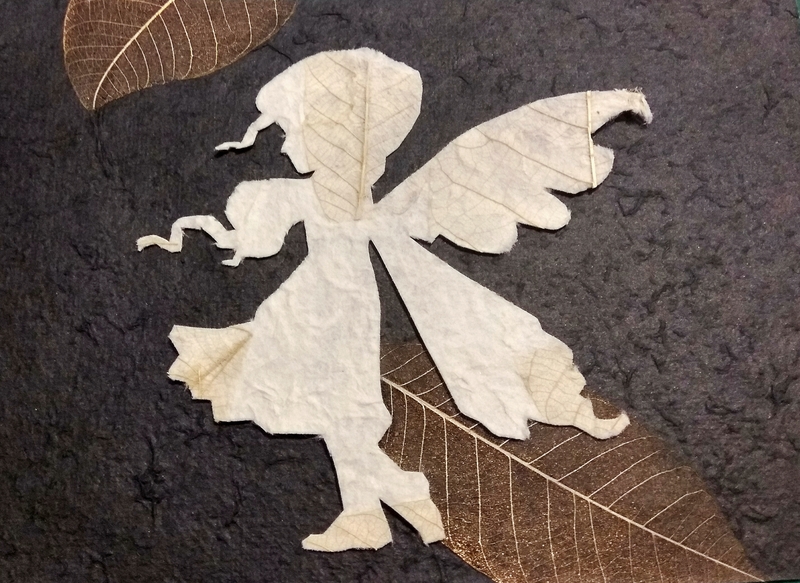 I cut the silhouette of a fairy out of a cream handmade paper with pale cream coloured leaf skeletons on. I then placed my carefully cut silhouette onto a black handmade paper background with gold painted leaf skeletons for a good contrast.